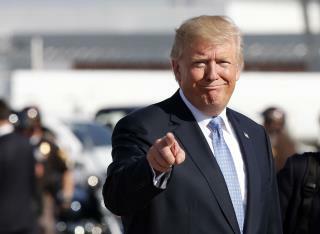 (Newser) – It's hard to know for sure, but President Trump may save a pretty penny if his administration's "once in a generation" tax proposal goes into effect, despite Trump insisting earlier this week the plan is "not good for me." The New York Times put Trump's estimated net worth of $2.86 billion and his 2005 federal tax return—one of the few publicly available pieces of detailed info on the president's finances—up against the current tax law and the new plan. Its findings: The president and his estate could save more than $1 billion. Experts commissioned by the Times postulate the benefits would mostly come from the elimination of the estate tax and the alternative minimum tax. Schumer points to Kansas to criticize Trumps tax plan Source: Politico In a warning shot to Republicans crafting landmark tax legislation, Senate Minority Leader Chuck Schumer said on Sunday that Kansas’s experiment with tax cuts foreshadows what can happen if the GOP relies on “fake numbers” to support their effort. Speaking on CBS’s "Face the Nation," Schumer rebutted assertions by the Trump administration that the president’s tax plan is not designed to cut taxes for rich Americans. “It's completely focused on the wealthy and the powerful. Not on the middle class,” Schumer said. He also attacked the Republicans’ assertion that the tax plan won’t add to the deficit. Kansas’s 2012 tax cuts led to a budget deficit that forced the state to cut funding for schools and infrastructure, Schumer said. Facing a major budget deficit, Kansas lawmakers in June approved legislation that rolled back many of Gov. Sam Brownback’s tax cuts. Read more: http://www.politico.com/story/2017/10/01/schumer-trump-tax-plan-kansas-243343 Exactly. Trump is trying to do to the U.S. what Sam Brownback did to Kansas.